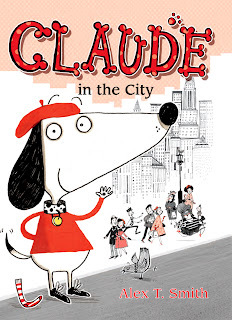 The World of Peachtree Publishers: Claude in the City! We're introducing a new early reader series! This is the first book of the Claude series, first published in the UK and now available for all of us here in the US. You guys, I am so pumped about this series. Claude and his best friend Sir Bobblysock crack me up and I can't wait for you to read these books! I'm leaving it to the capable hands of my wonderful blogger buddies to properly introduce this book to you in this week's BLOG TOUR!